See the video Spike Jonze made for Soko’s I thought I was an alien HERE, also read the Q&A with her. 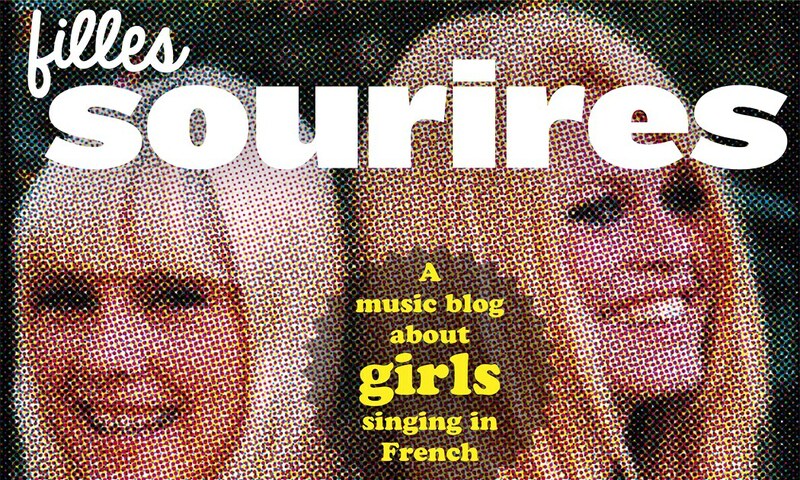 Australian ‘past life twins’ Ivy Fox and Naomi Braun recently covered Jacqueline Taieb’s ye-ye classic 7 heures du matin in English. See video below. It is always good news when old friends have a new album released. 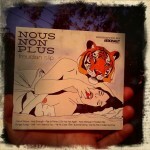 Especially when it is a brand new album from the legendary Filles Sourires Sweethearts Nous Non Plus. Jean-Luc Retard and (in particular) Céline Dijon are on our radar since the beginning of this blog as can be seen here. And their first album even made the list 0f best albums of the decade by official FS-contributor Sky. 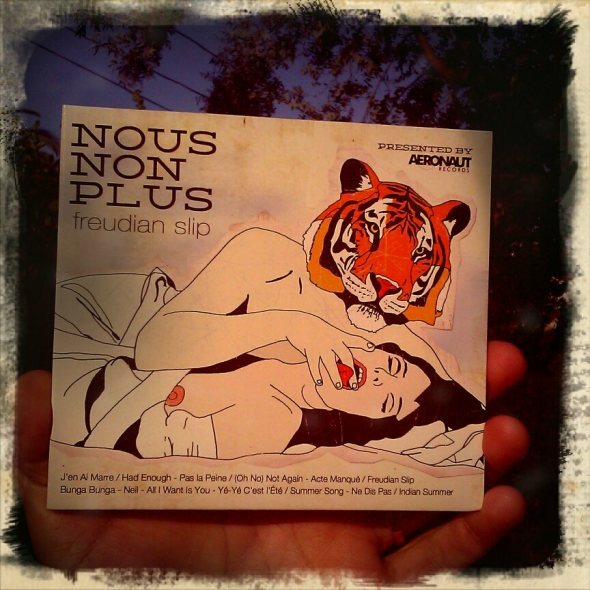 After that debut album came a second one in 2009 and now there is a new album called “Freudian Slip”. And it doesn’t disappoint. Céline Dijon is as sultry as ever and the sixties yéyé influence is still there as is the eighties electronic organ. The title song sounds like a rediscovered Serge track, “J’en ai marre” strongly reminds me of French eighties new wave. Unfortunately there are only eight tracks on the album. First single is a “tribute” to Italian President Silvio B. called “Bunga Bunga”. It goes with a lovely video that can be seen here. But for today I choose for what could very well be the last summer song of the season, the lovely “Yé-Yé C’est l’Été”. 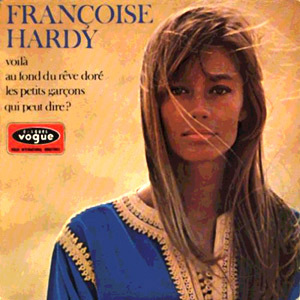 Françoise Hardy’s piano in Voilà, combined with eerie, dark rockabilly. Now there’s a treat. The guy responsible for the mix is Alex Zhang Hungtai (aka Dirty Beaches), a Taiwan-born Canadian immigrant who spent a good chunk of his life feeling unmoored and adrift. He loves David Lynch, Jim Jarmusch, Wong Kar Wai and the music of Johnny Cash and The Stooges (he covered them both). Dirty Beaches’ album was released in March, but Jan Kooi told me about Lord Knows Best, with the Hardy-sample. This video merges images of Hardy and Hungtai. In the same vein was the use of Chantal Goya in a track by Wild Nothing. 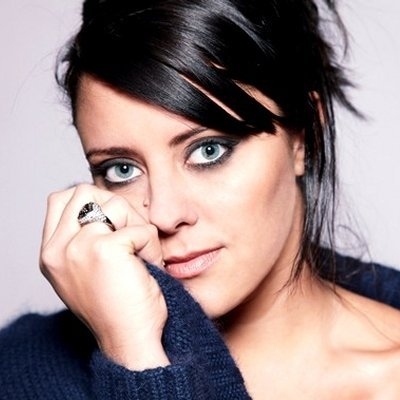 Yes, Aurelie Cabrel is the 25-year old daughter of Francis Cabrel. One of France’s highly acclaimed singer-songwriters, it’s not easy to follow his footsteps. Then again, lots of sons and daughters of famous French musicians started their own career – Thomas Dutronc, Arthur H(igelin), Charlotte Gainsbourg and M(athieu Chedid) all are very succesful. Aurelie will need a bit more time and experience to get to the level of Thomas and the like. Her voice is pretty, girly and very fragile. Her (rock)songs are very French, they remind me of Mademoiselle K and Jeanne Cherhal. The overall feeling of this album is that she’s talented, but not quite there yet. You have to start somewhere, she can be proud of her first effort. We’ll keep listening to what happens next. Bertrand Betsch gave Nathalie Guilmot again a prominent role on his new album. As we remember from La chaleur humaine, Guilmot has a pretty, husky voice that sounds great next to Bretsch’s more gruffy pipes. The new Bretsch-album is pleasant, acoustics mix with electronics, but lacks real bite. Too few songs creep under your skin.